Only 8 Altitude models left in stock! 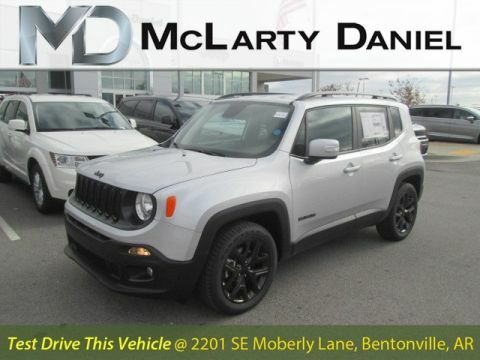 While great effort is made to ensure the accuracy of the information on this site, errors do occur so please verify information with the dealership directly. You may reach a customer service representative during business hours by calling (479) 715-4804 or by visiting us at the dealership. New vehicle offers are time limited; see incentive detail for expiration. 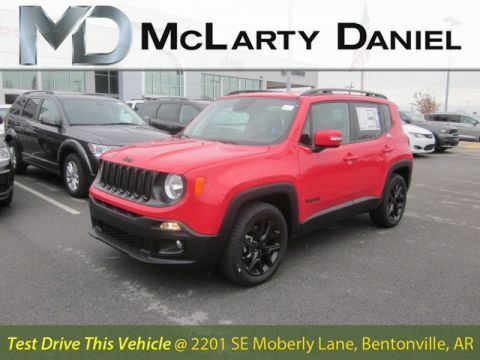 New vehicle pricing includes all manufacturer incentives and offers; certain restrictions may apply from manufacturer to receive full incentive package listed, see dealer for details. Tax, tag & title not included and must be paid by purchaser. Listed pricing does not include dealer adds. 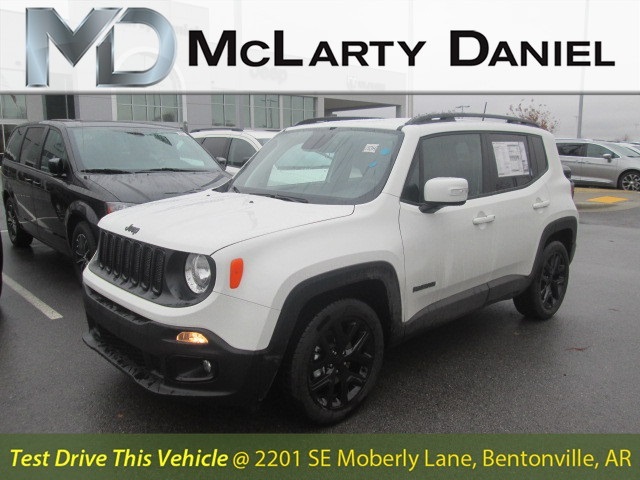 Alpine White 2018 Jeep Renegade Altitude FWD 9-Speed 948TE Automatic 2.4L I4 MultiAir ABS brakes, Compass, Electronic Stability Control, Front dual zone A/C, Heated door mirrors, Illuminated entry, Low tire pressure warning, Remote keyless entry, Traction control. 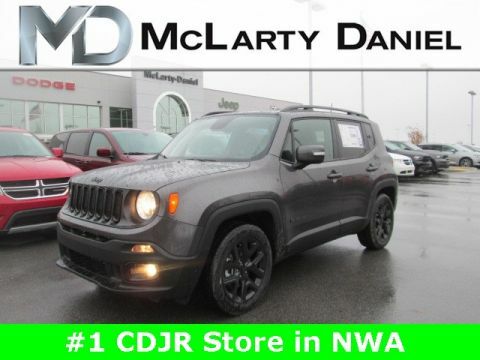 McLarty Daniel Chrysler Dodge Jeep RAM is the premier Jeep, Ram, Dodge and Chrysler dealership in Bentonville, AR with new and used vehicle inventories that have a wide assortment of cars, trucks and SUVs to suit every taste and need. With a friendly and helpful sales staff, highly skilled mechanics and multiple automotive certifications, we are committed to superb customer service, whether you come to us for a new RAM, used Dodge, OEM Chrysler parts or Jeep service. McLarty Daniel Chrysler Dodge Jeep RAM	36.3483597, -94.1824977.